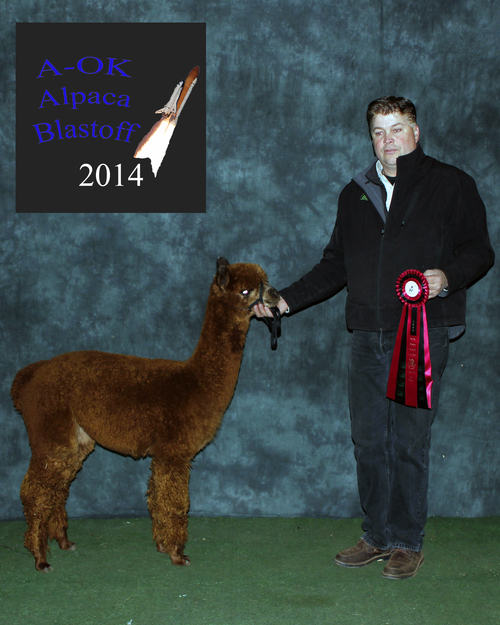 Lovely foundation female - She's bred to Jacob Black for a fall 2013 cria! 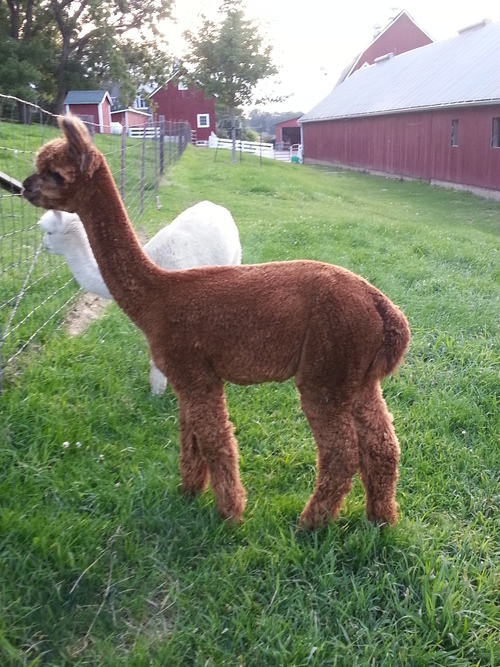 Check out her cria from this year, Lullaby! Lullaby's fleece is really, really nice! If you want a proven dam bred fantastically, you have found your next female! She's full Peruvian, and a Jeronimo daughter. Her dam is an Augusto daughter. Lots of big names in this lineage. 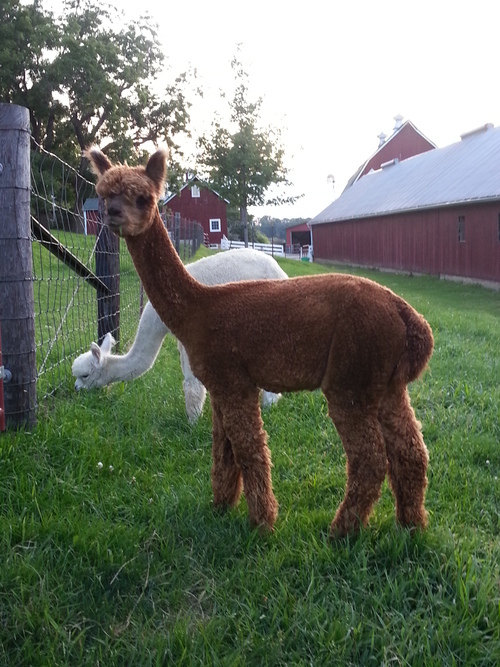 Our Peruvian Latte Love is an adorable Jacob Black female born last fall. She promises to be a nice show girl. 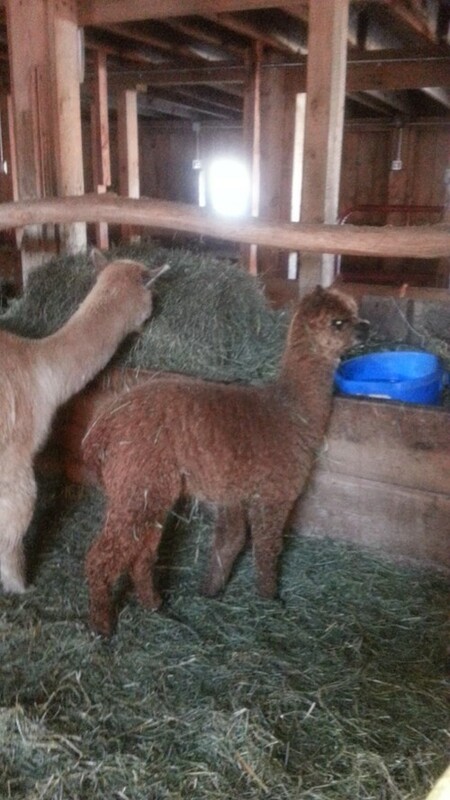 The Jacob Black cria are doing fantastic this spring in their first season out, so expect no less from this girl. 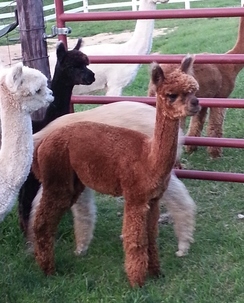 Latte Java, her dam, has thrown many champion cria. Latte Java's cria from 2012, Lullaby, has already pulled down 6 banners! Latta Love has gone to 2 shows this fall. She has placed nicely at both. This little girl has a 17 micron and would be a great addition to any herd!